Finding the best camera to use in a project is a complex task. There are many factors to consider, including: focal length, camera type, resolution, and even Wi-Fi signal strength for wireless cameras. We've assembled a list of key factors to consider when choosing a camera, as well as several tools to help you manage them. 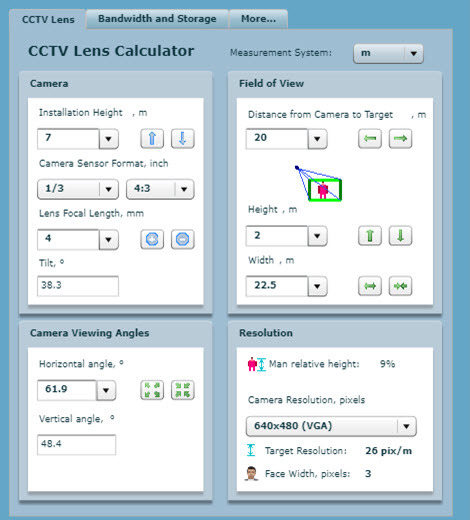 Focal Length/Field of View: A shorter focal length produces a wider field of view, therefore, displaying a wider scene. Conversely, a longer camera focal length magnifies the scene, resulting in a constricted field of view. Having a wide field of view is not ideal in every case: for example, a wider field of view is preferred when looking at a backyard to capture a larger area vs looking down a constrained hallway or when focusing on a specific area. Some cameras have fixed lens or varifocal lenses that can adjust the field of view and magnification. Resolution is another important detail to consider when selecting a camera. Resolution is the measure of noticeable detail that you see in an image. A higher resolution will produce a better image definition, clarity and quality. Cameras with low resolution often result in a loss of detail. With a wide field of view camera, you will need a higher resolution to capture fine details such as faces and license plates. In areas that are focused to a specific point such as with a 6mm lens, a higher resolution might not be as significant. Additionally, the higher the resolution, the more storage space is required for videos. Infrared technologies have improved significantly over the years and have become more affordable. Many surveillance cameras support artificial illumination with Light Emitting Diodes (LEDs) to enhance the naturally occurring light in a scene, such as from a nearby lamp post or moonlight. When the IR cut filter is activated, the image will change from color to black and white. Our Enhanced IR feature found on the turret camera for example, reduces some of the digital noise produced with standard IR, in addition to reducing the amount of IR LED flashback that occurs with many dome or bullet cameras. Will the camera be used indoors or outdoors? Should it be visually noticeable or discreet? Is there a specific required function or preference? Bullet Cameras: These stylish outdoor cameras include a wide-array of IR LEDs, and include shield covering to protect it against natural elements and weathering. Dome Cameras: Dome cameras are spherical-dome shaped. 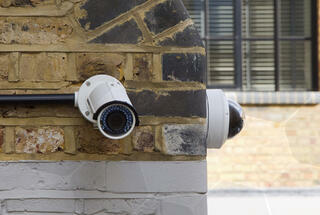 These cameras are often used in conditions that require discreet placement. They include a dome protective cover against vandalism, and can be used in both indoor and outdoor settings. 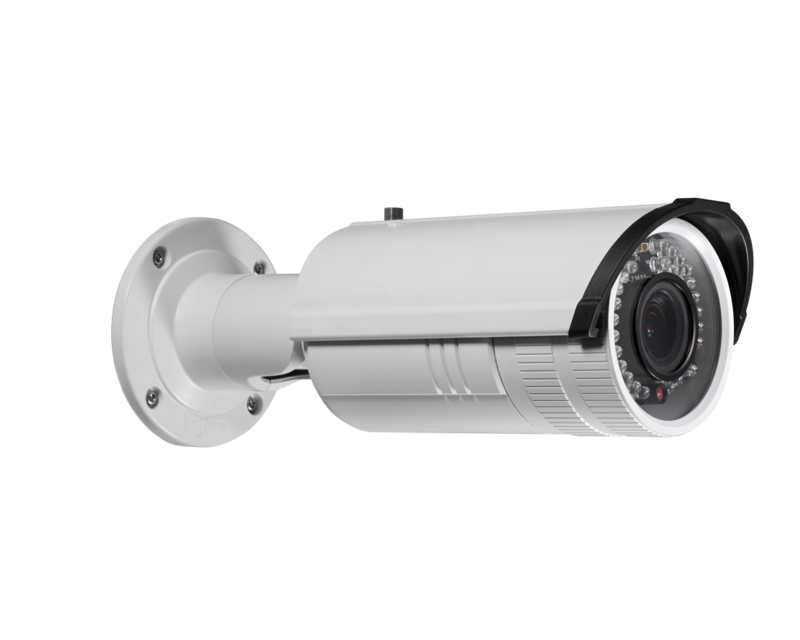 Turret Cameras: These vandal resistant hard-shell cameras are tough, produce minimal IR flashback with Enhanced IR, and are ideal for outdoor placement. The discreet form factor is hard to notice, and can be mounted virtually anywhere. Cube/Nanny Cameras: These Wi-Fi capable cameras are ideal for indoor use in bedrooms, counter/table tops, and in discreet locations. They are easily installed and can be relocated in minutes without requiring a professional, they also include two-way microphone and speakers that allow the viewer to communicate directly from your mobile device using our ClareVision Plus App. Video Doorbell Camera: Functioning as both a doorbell and camera, the Clare Video Doorbell allows for two-way communication, requires no additional wiring apart from existing doorbell wires, and can be connected wirelessly to your Wi-Fi. Wireless connections such as Wi-Fi, allow for a greater flexibility when it comes to install location. A Cube/Nanny camera can easily be moved to a different part the the home without the need to run additional wiring or network configuration. However, there can be a performance impact due to Wi-Fi signal strength caused by additional wall build materials, or other interference. While an Ethernet cable guarantees a solid and stable connection, if the camera needs to be relocated, this can increase costs and time. To help our installers, we have created several resources to help you find the right camera for your project, as well as give you the option for advanced configuration and management. In addition to the aforementioned tools, you can also access a wide-range of advanced features and options by logging into the camera itself via the camera's IP address. For more information on our cameras like how to sell, spec, or on the above tools, be sure to watch our Tech Tuesday with Jerry Bulda.